Kemi started out professionally as a radio presenter with Rhythm 93.7 FM, where she became the voice behind two nationally syndicated hit shows: Soul’d Out and Sunday at the Seaside. Kemi Adetiba began to make a transition from being a voice on radio to being a face on television by producing and presenting several shows on Mnet, which includes Studio 53, Temptation Nigeria which she presented alongside Ikponmwosa Osakioduwa. 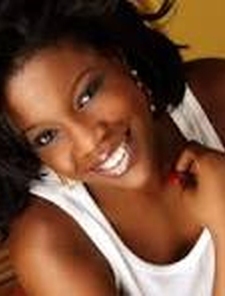 Kemi was also a presenter on Soundcity TV and hosted Maltina Dance All for three consecutive seasons. After years of success being in front of the camera, Adetiba enrolled into the New York Film Academy to learn the ropes about being behind the cameras and today, her bodies of work as a director are spread across the African continent and beyond its borders. Kemi Adetiba's short film Across a Bloodied Ocean was screened at the 2009 Pan African Film Festival and National Black Arts Festival. On 8 September 2016, Kemi Adetiba's first feature film "The Wedding Party" (a Nigerian Rom-com film) premiered opening night, at the Toronto International Film Festival (TIFF), as the opening film of the City-to-City Spotlight.